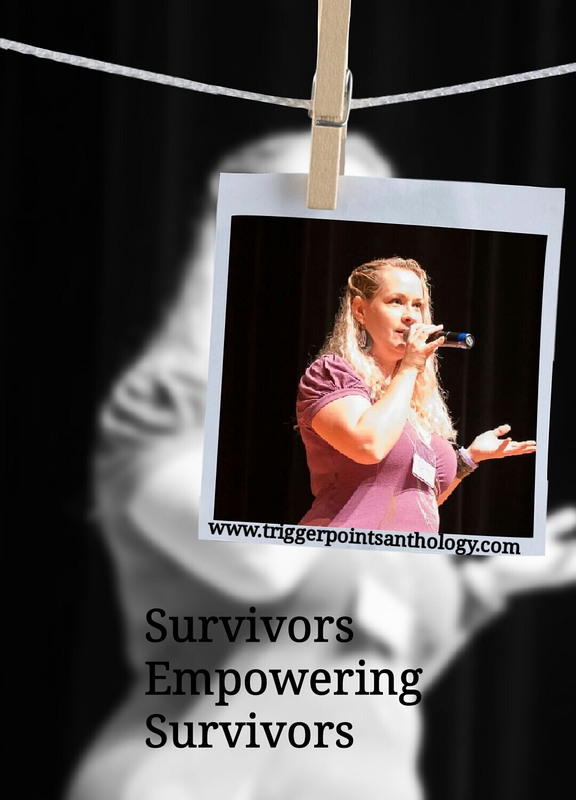 Trigger Points Seeking Submissions for Survivors Empowering Survivors Series. At times, survivors may be their own worst enemy. We riddle ourselves with doubts, constantly questioning whether or not we are good enough – as parents, partners, human beings – and determine our accomplishments to be irrelevant. Some aren’t cautious enough with the empathic residue left by their abuse, and find themselves unable to recognize when they are being used or further abused. At times we self-sabotage because there is no fear greater than the unknown, and for many of us, our wires misfired on the way to building happiness and aspirations, creating uncomfortable, sometimes unbearable feelings in the presence of simple joys and accomplishments. Two of the most brutal side effects of childhood traumas in adulthood are self doubt and lack of self value. In order to combat the often self notion that you aren’t deserving of the recognition of what you have overcome and accomplished, Trigger Points is re-igniting the Survivors Empowering Survivors series, and are currently seeking submissions for guest posts. Our intention with this series is to offer a platform to which survivors can proudly speak about achievements – big and small. We’re looking to inspire and educate readers by introducing them to the difference you are making in your day to day, or how you are contributing to cultural change. Especially, as it pertains to parenting as a survivor. A book you’ve published, are working on, or took part in as a contributor. A recovery-focused workshop, class, center, non-for-profit or conference you contributed to or helped create. A service you provide specifically for parenting survivors. Your experience speaking or teaching on the topic of parenting as a survivor. A discussion you’ve had with your child(ren) about your abuse. How you’ve found a way to channel your recovery in a healthy, productive way, such as creative arts. A trigger you have experienced that you are struggling with; one you may or may not have learned to manage yet. Your reaction to reading the Trigger Points Anthology and the impact it left on you. An essay you have written based on one of the journal prompts from the Trigger Points Anthology. If you have an idea based on something other than what is listed here, we encourage you to reach out to us. **We prefer original essays tailored to the survivor community, which includes loved ones of survivors and those that are working with survivors on their recovery journey. However, we will absolutely consider previously published work. Please let us know if what you are submitting has been previously published, so we can offer proper credit. **Send your essay in the body of an email to triggerpointsanthology@gmail.com, with SES Submission as the subject. Don’t forget to add a short bio (3 to 5 lines), including social media profile links, and a headshot if you would like. And send along an image to go with your essay if you have one you’d like to share. We can’t wait to hear from you guys! Next Post I Spoke About Parenting as a Survivor, Because I Was Asked.